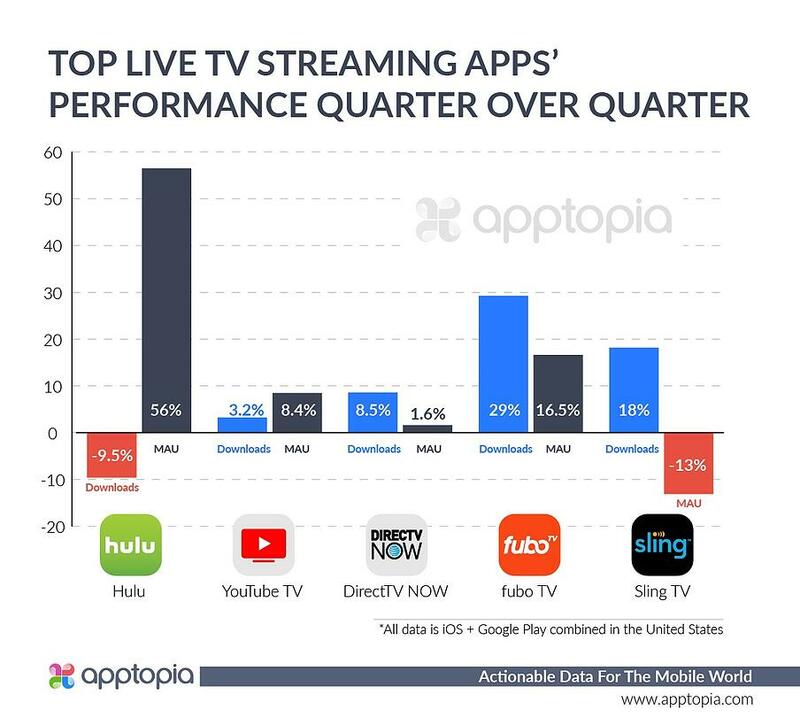 These five top live TV streaming apps (see above chart) also saw an increase in MAUs, with the lone exception being Sling TV. Because Sling TV’s downloads are increasing while it’s MAU drops, one is led to believe the company is losing older customers and/or not getting new installs (likely free trial users) to bite on a paid subscription. Readers of this blog will remember Sling TV’s MAU has been dropping since early 2017. Sling was one of the very first digital options for live television and other providers have since come on to the scene. The WSJ reported back in February that Sling TV was having problems with customer churn. I can’t put my finger on exactly why the service is struggling as it has a competitive offering and competitive pricing. For those purchasing YouTube TV specifically, it’s possible they are already deeply integrated into Google’s ecosystem and want their streaming service to be there too. For everyone else, it could be a case of people wanting the new shiny object. 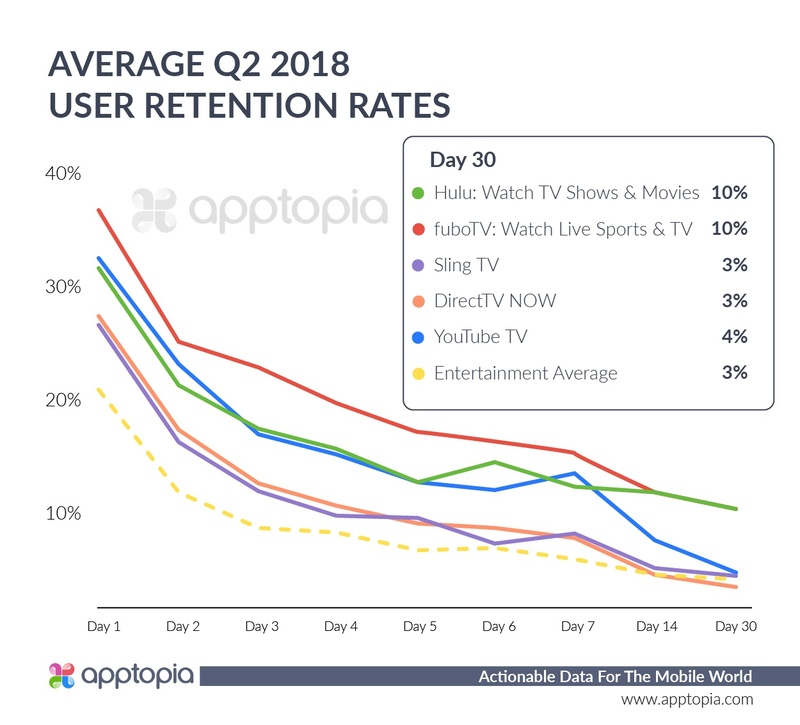 Hulu - Previously, Apptopia estimates determined Hulu had its best quarter ever in Q1 2018. 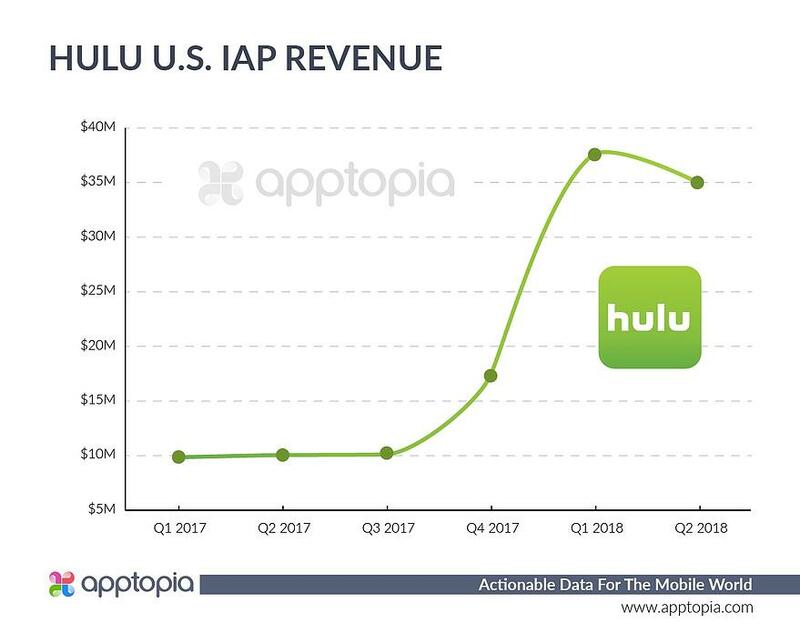 While Hulu’s mobile revenue dropped slightly in Q2 (-12%), it remains strong and the mobile app has been increasing monthly active users lately, to the tune of +56% quarter over quarter. Why is Hulu’s revenue down if its MAU is up? The obvious answer is that more people cancelled service or downgraded tiers than signed up for new subscriptions or upgraded tiers. Getting more specific, eyeballs are up for two reasons. The first is the highly marketed release of the second season of Handmaid’s Tale (4/25/18) - the poster child for Hulu’s original content. The second is that it’s summer and people are traveling for vacations. They are shifting their viewership from stationary (Smart TV/Laptop) to mobile. This means the increased active users are actually already paying subscribers. Apptopia estimates detected a similar summer surge (say that 5 times fast) for Hulu in 2017. Additionally, the app’s new installs are down -9.5% QOQ, leading to less opportunity for converting new users into paying subscribers. The company launched a new cleverly named service, WatchTV, just over a month ago. The service costs less than AT&T’s flagship offering of DirecTV Now, but instead of making it a lower tier of service of the DirecTV Now offering, WatchTV got its very own mobile app. Our estimates suggest this app has garnered about 40,000 downloads and created 21,000 daily active users since launch. WatchTV costs $15 per month but can be obtained for free when bundled with select AT&T wireless plans. It looks like a safety net for on the fence cord cutters and some cord nevers, who don’t want to fork over the cash for DirecTV Now… at least not yet. 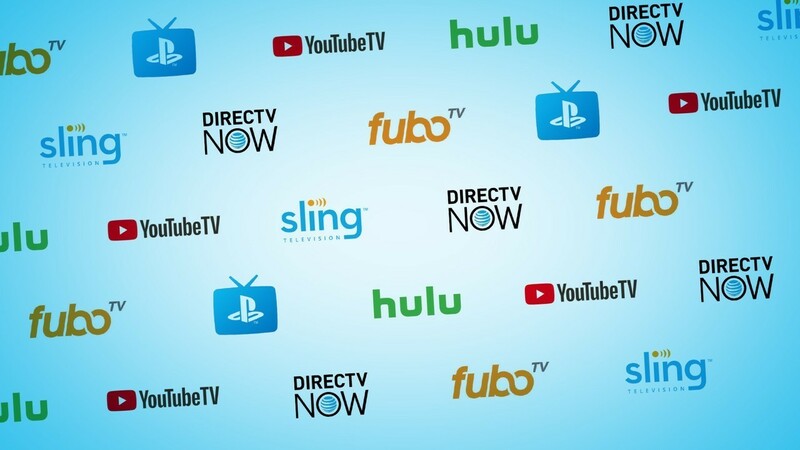 These cord cutting options all offer free trials which last 7 days, except for Hulu’s which runs for a full 30. Given that, I wanted to look at user retention over the quarter because it is likely users that are still coming back into the app 30 days after download have become a paying subscriber. You will notice Hulu is leading the pack here but keep in mind the company’s full 30 day free trial. The real winner here is fuboTV whose IAP revenue is up 32% QOQ. Looking across Hulu, YouTube TV, DirecTV Now, fuboTV, and Sling TV, the average active user watches 28.6 minutes per day. Apptopia recently released Session Data, which you will be seeing a lot more of on the blog going forward.